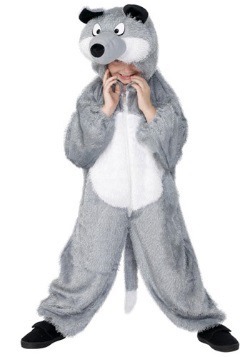 Having a hard time choosing which kind of animal costume is perfect for you or your child? 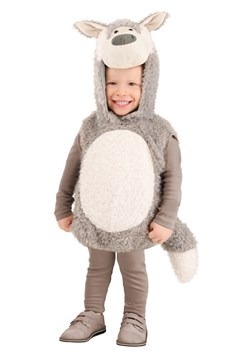 Yeah, it's not easy with so many different wild animals out there, but as luck would have it, we're tried and true costumes experts around here (we better be with a name like HalloweenCostumes.com). 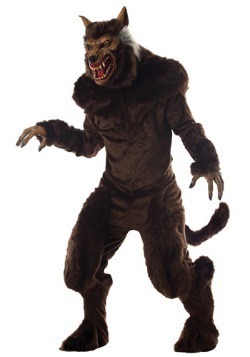 So, let us tell you why a wolf costume makes for an awesome costume experience! 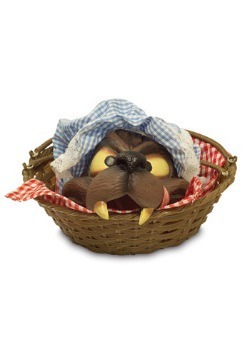 From the ferociously frightening werewolf, to fanciful fairy tales like Little Red Riding Hood and The Three Little Pigs, wolves are always finding their way into the story. 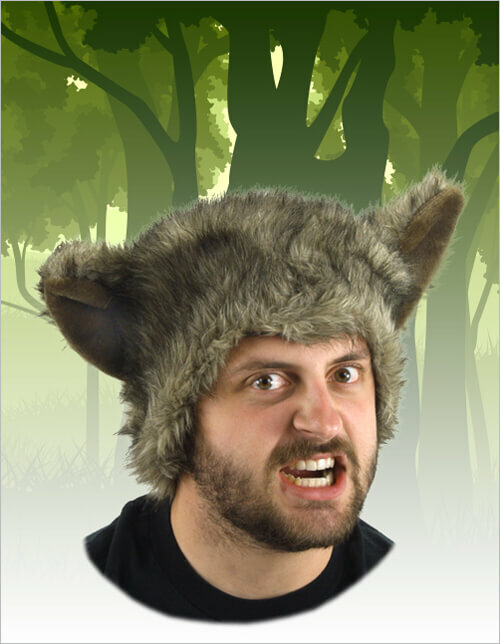 In the wild, wolves are highly social, so it gives you the perfect opportunity to create a wolf pack themed group. 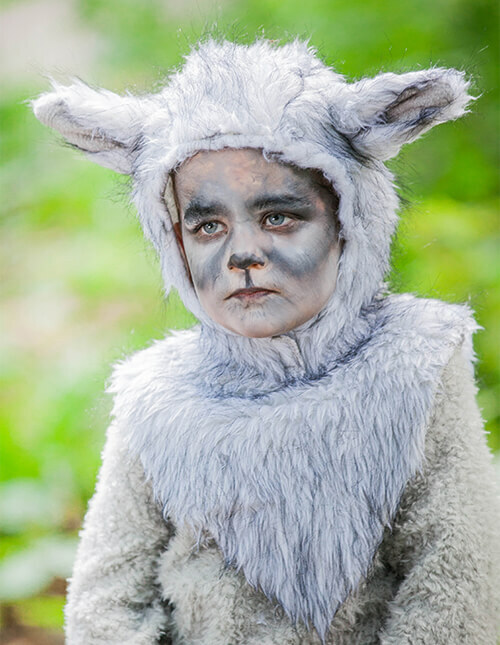 And did we mention that some of our kids' wolf costumes are adorable beyond comprehension? It's just one more reason to love being a wolf! You might be thinking to yourself, "But I don't really know how to look like a wolf!" Well, never fear, because we're here to help you with that too. 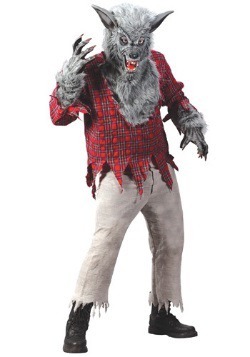 Below we have a guide to really help you maximize your look and experience in one of our wolf costumes. So, just sit back and let us show you some tips, tricks and ideas, so you can have a really great time howling at the moon! 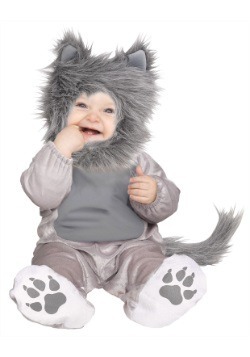 So, you've decided that you or your little one is going to be a wolf, but joining the pack takes a lot more than you might think! Unless you're born into a family of wild wolves, you may have a hard time fitting in. Not all of us can be lucky enough to be like Romulus and Remus (the mythical founders of Rome), after all! No worries, though—we're here to help you out! 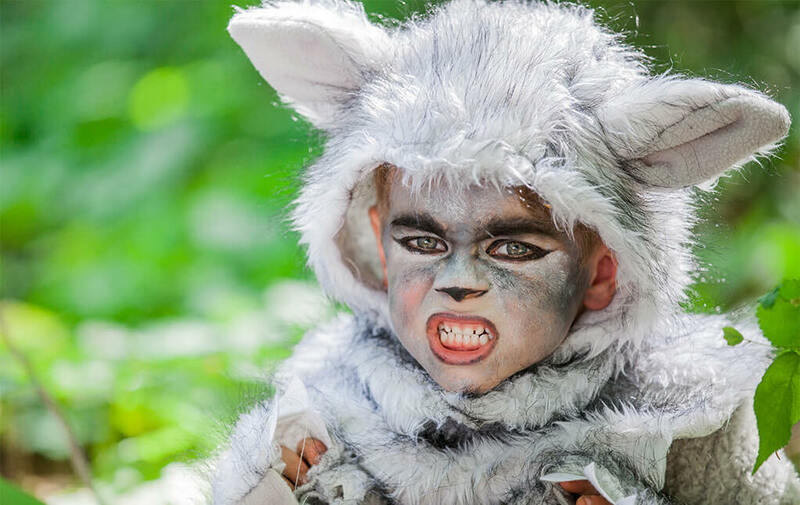 We've got plenty of ways, including a selection of accessories and some inspiring imagery, to help you make the most of your wolf experience. 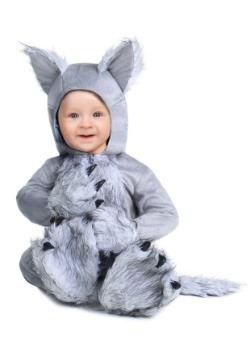 We even have a pair of wolf parents who are willing to adopt you and show you their ways. 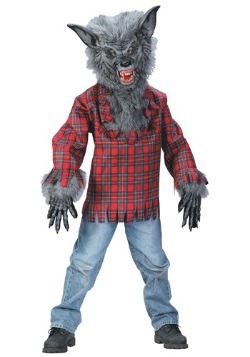 Okay, so maybe that very last part isn't entirely true, but we do have plenty of styles of wolf costumes for kids and adults that will blow you away, and you will find some cool ideas to get you started. 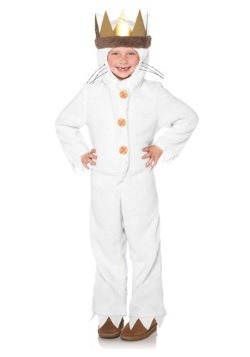 And that way, you can love your look at the next costume party. To The Woods You Go! Every young pup feels most at home in the wilderness, which is why the best photo opportunities lie waiting in the deep woods, or at the very least near a few grand old trees (we have a few tree costumes if you don't live near the woods). 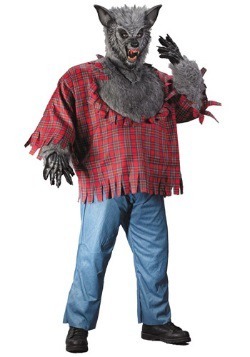 After all, that's where all the real wolves live, so that's where your lupine journey should begin! 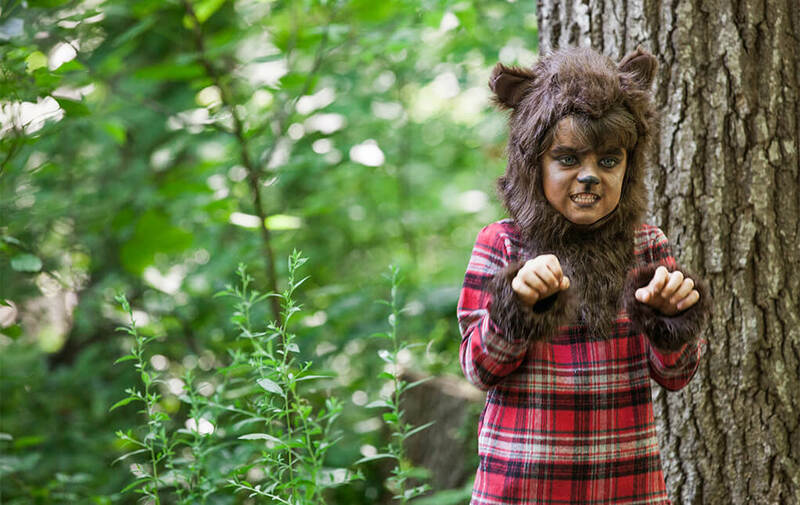 Once your child has selected a furry look fit for the forest (and we have plenty of awesome kids wolf costumes for you to choose from), you must venture into the woods. Be on the hunt for a pristine tree, with a plethora of vibrant foliage. Don't forget to bring a camera or a smartphone! Once you've picked the perfect spot in the woods, you'll want to capture every moment that you can, so you can keep a piece of moment with you forever! 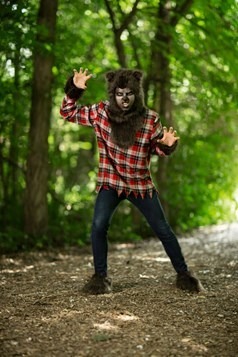 Of course, just being in the woods won't complete the perfect wolfy look. 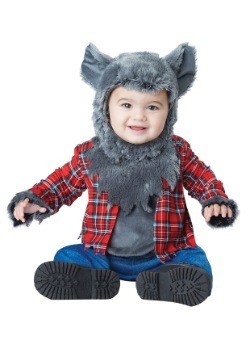 You're going to need a little more than a keen sense for forest scenery to create the perfect experience for your tiny wolf. 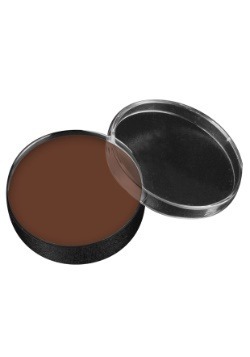 You're going to require a touch of makeup! 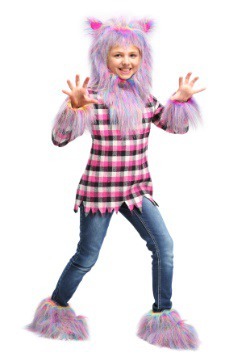 It's the only way to achieve a ferocious look that might just have your child snarling like a wild animal. All it takes is a little bit of white makeup and a bit of black makeup to achieve a savage style. 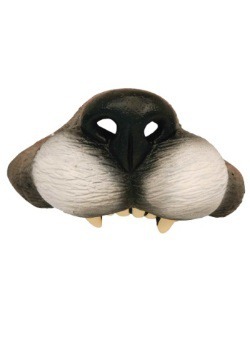 A touch of black makeup can turn your tike’s normal nose into the snout of a snarling pack alpha! 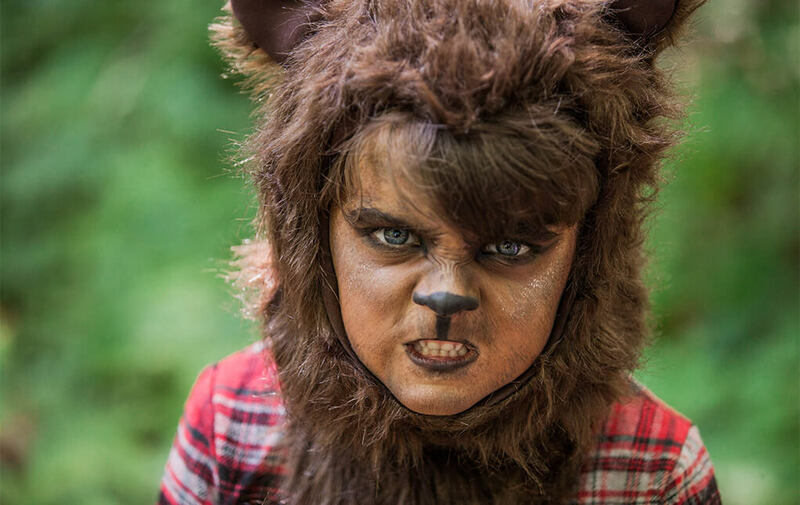 Using a mixture of light and dark brown makeup, you can create very wolf-like tones, while a thin line of black makeup around the lips gives him a growling look that will have him ready to howl. You may be wondering what the next step is! 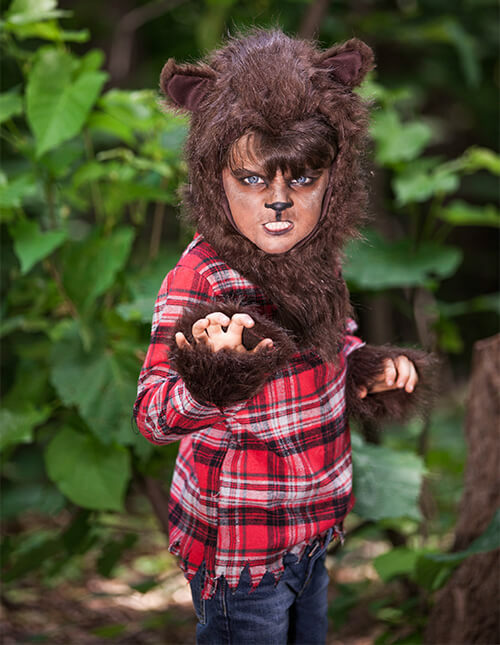 Well, once you've brought your little one to the natural habitat of wolves, it's time to get him ready with some ferocious poses. 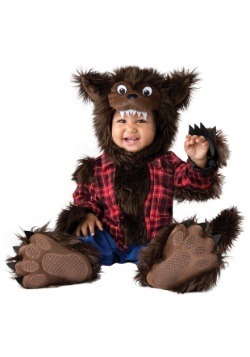 He's going to need some savage snarls, grisly growls and maybe even a few booming barks to be the wild wolf that he looks like! Most of all, it's just about having some fun getting a little wild in the wilderness. 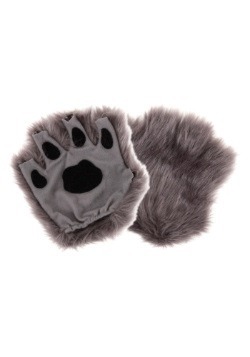 To capture the aura of a real wolf, he'll need to be ready to bear his fangs and claw at the air. And if you should happen to be there with a camera to capture the moment, then it makes for a great new post on social media! And, as an additional tip, the lively shrubbery should make for the perfect backdrop for some furry photos of your pup's newfound playground, so make sure to take full advantage of the bright greenery surrounding you. 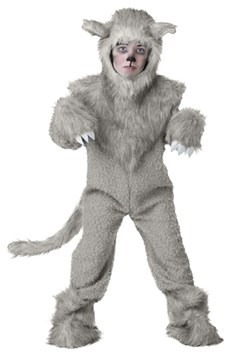 Aww, look at this widdle sad wolf! 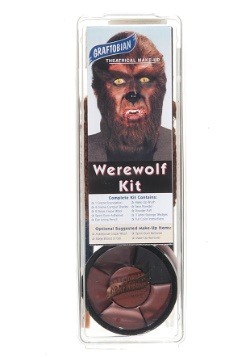 Most of the times, wolves run in a pack, so a solo wolf can get lonely when he's out in the woods, but luckily, we've got the perfect cure for that kind of problem! 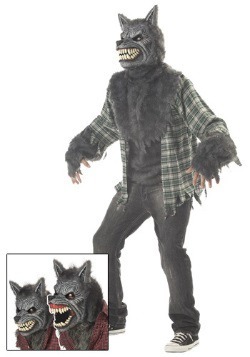 A little touch of makeup should have all the other wolves ready to play with him. 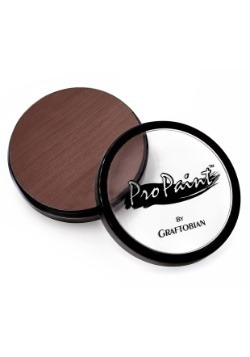 When you're perfecting the look of a gray wolf, you'll want to use less browns in the makeup, along with much more whites and blacks to create various gray tones. Once you've got the look down, make sure to get a pic or two of your little lone wolf before the rest of the pack shows up to greet him! 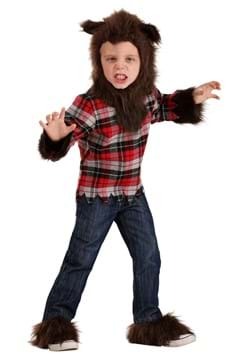 When you've gotten your little one's style all set and ready, it's time to let him run wild with the pack and howl at the moon (provided it's not past your little one's bed time, of course). 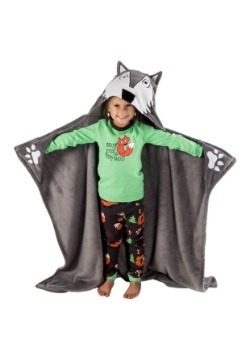 Since most wolves love to form a pack, it's time to get a bunch of your little one's friends together so they can bark and howl their way to a good time. Who knows! 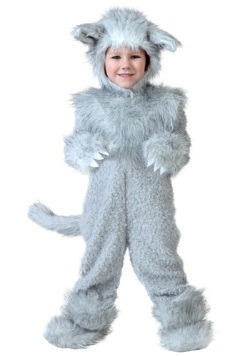 It might look like so much fun; you might find yourself suiting up in a wolf costume of your own to join your kid. 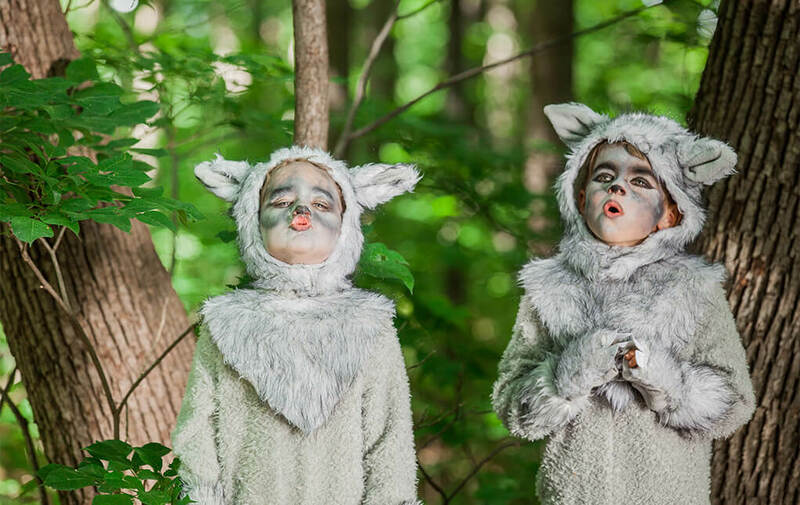 Nothing quite brings a family together like a run through the woods as a pack of wolves (and family togetherness is always something we love to condone). 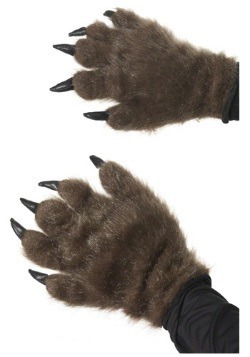 When making the transformation into a wolf, it all starts with the right accessories. 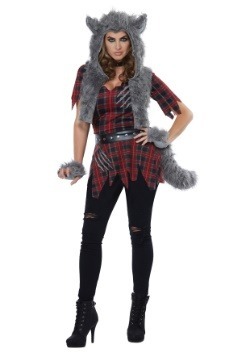 Our costume accessory experts here at HalloweenCostumes.com have spent a good deal of time mulling over all the possible choices that you could make to feel more like a real timber wolf, from bottles of lupine pheromone (totally not a good idea) to rabbit-based wolf food supplements (also not a good idea). 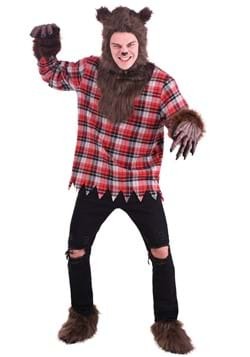 Our extensive research helped come up with this list of the best accessories to add to your wolf costume to get the most out of your look when you make that plunge. Normally, hair all over your hands might not prove too useful, but when you're trying to be pack alpha, it's exactly the kind of thing you want. 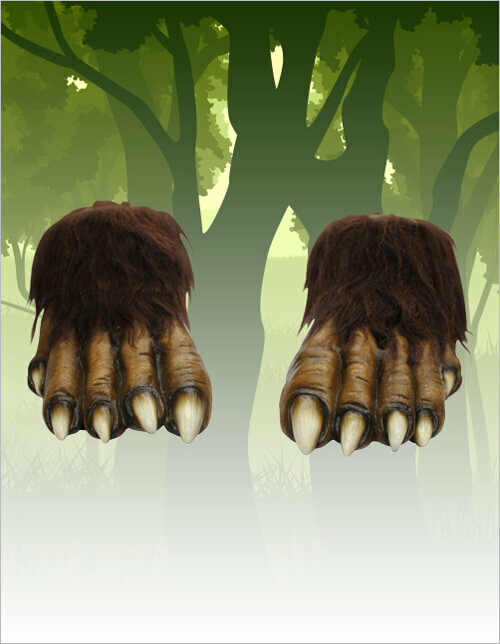 You could try to splash a sketchy hair growth tonic on your hands to achieve the look, but we've already discovered a much quicker and easier way to get the look of a wild creature of the woods! 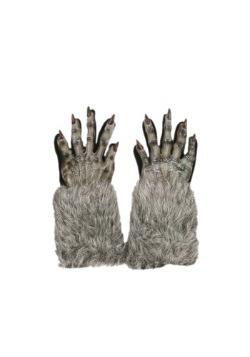 These hairy hands fit over your own hands to give them a wolfish look that will put your costume over the top. 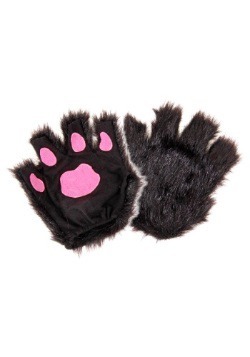 The coolest thing about these glove-like hands is that they have holes in the fingers, so you don't lose any of your normal human dexterity when you transform into a big bad wolf! 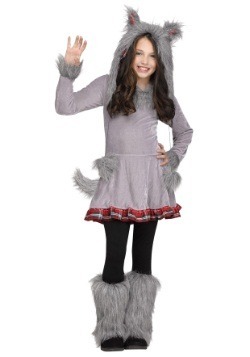 Just make sure to keep those paws away from Little Red Riding Hood and her grandmother! 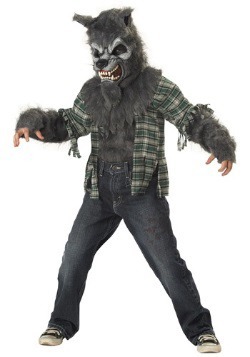 Okay, so not everyone is ready to commit to a full face-mask for the wolf appearance! 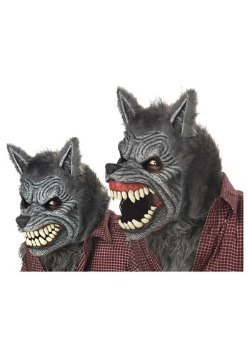 We love full masks, but when you're hosting a party and you want to enjoy some tasty snacks while mingling with the guests, the full wolf mask approach can get in the way. 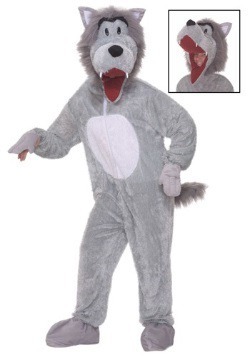 But that doesn't mean you have to give up your dream of being a wolf at your next party. 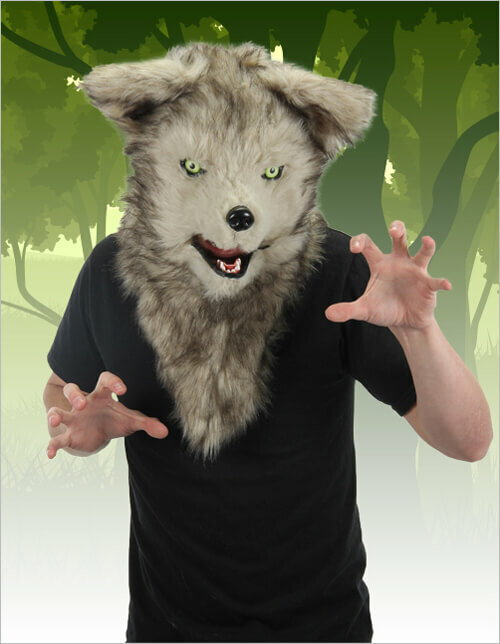 Now, you can enjoy having your face free to wolf down some party hors d'oeuvres while you bask in your own furry fabulousness, while never having to engage in an epic confrontation with a full-face mask. 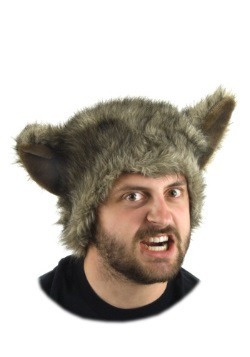 This werewolf hat brings you a style that fits just on the top of your head, leaving your eyes, nose and mouth completely open to enjoy all the sights, smells and tastes that any costume party has to offer. It's easy to forget the little things when planning your transformation. 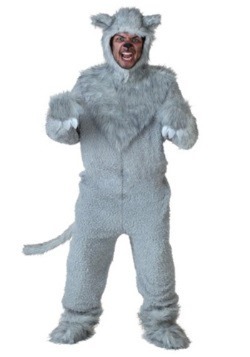 After all, your mind will be fixed on the cycles of the moon and all the howling you'll be doing when you're dressed up as a wolf, so something simple as a tail could slip your mind! And we definitely wouldn't want you to forget that important little detail. In the wild, wolves use their tail to communicate with other wolves. 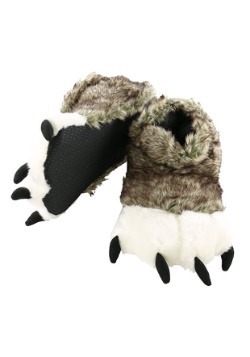 This wolf tail communicates that you're one ferocious wolf, ready to run through the woods with the pack. It also tells everyone else at the party that you did your homework and spared no detail when assembling your lupine style. 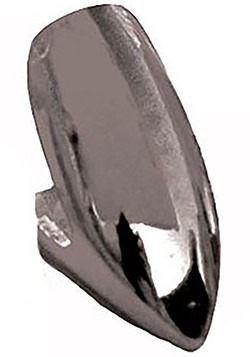 As an added bonus, this tail can be inflated to give a fuller look, which means you can start looking like the pack alpha in no time flat! When you're crafting your look, there comes a point where you have to decide whether you want to go with a realistic look, or a slightly more cartoonish look. 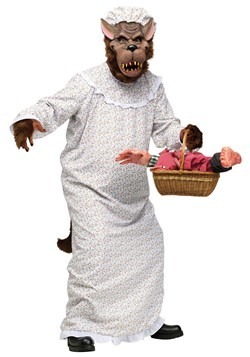 Some like the cartoonish look, since it doesn't scare the kids as much, but there's really nothing we love more that a frighteningly real look! 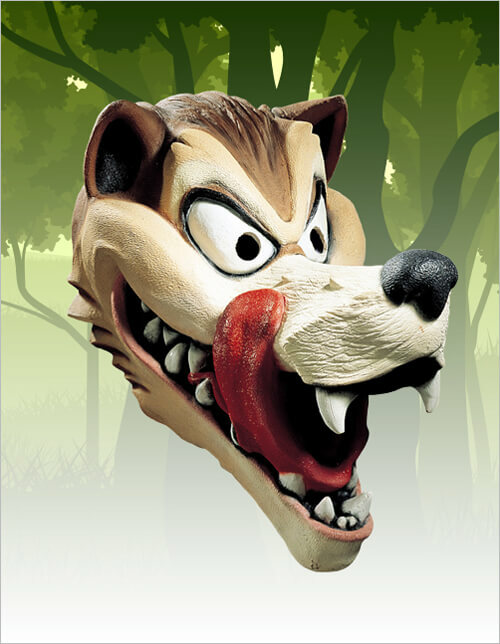 And this mouth mover mask follows the path of being one frighteningly realistic looking wolf! 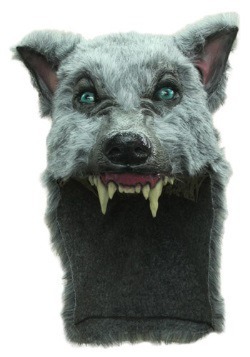 Since it has a plethora of faux fur, along with piercing eyes, this mask brings a look that comes straight from the forest and you'll be on the hunt for a good party once you have it on. And the best part about this mask? 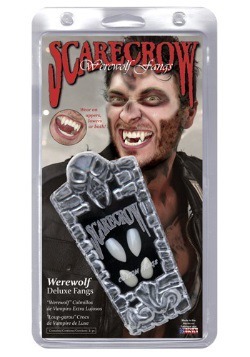 It actually opens and closes its fangs as you move your own mouth! 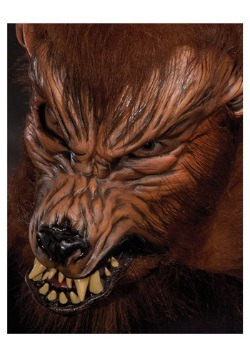 You can howl at the moon and this mask will howl right along with you. Most wolves are wild, ferocious and a little bit scary. Others? Well, they're a little bit left of the dial and sometimes, downright obnoxious! 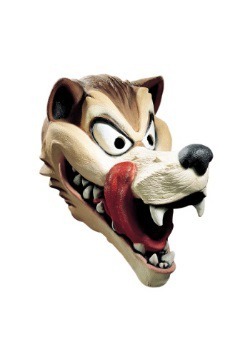 This Hungry Wolf mask is for adults and it looks like something straight from a Saturday morning cartoon. 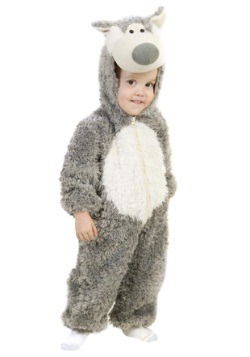 He's the kind of wolf who'd march up to the 3 Little Pigs' homes and blow them down with a huff and a puff. 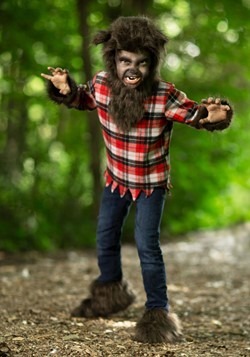 He can probably be found spending his weekends sneaking around the woods, looking for Little Red Riding Hood. 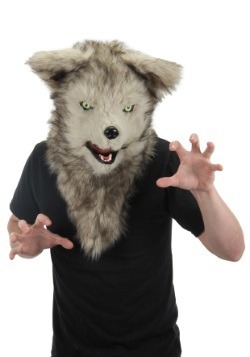 This Hungry Wolf mask helps you attain that kind of look with ease. 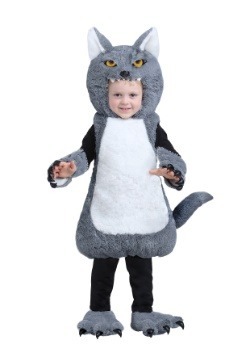 Its molded style isn't too scary for the kids and it lets you indulge in a few wacky, yet still wolfish antics! And if you decided to track down those 3 Little Pigs? Well, we're pretty good at keeping a secret! 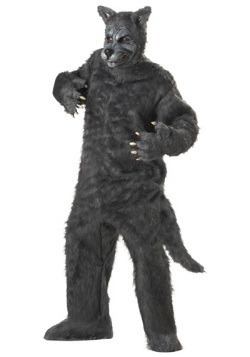 When you're attempting a full-on wolf transformation, it's important to get the right look from head to toe! This wolf feet accessory focuses mostly on that "toe" part. 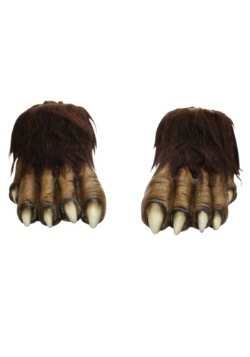 One part frightening, and one part realistic, these things will make sure you've covered every inch of yourself in wolfy goodness, so there will be no doubt who the alpha of the pack is. 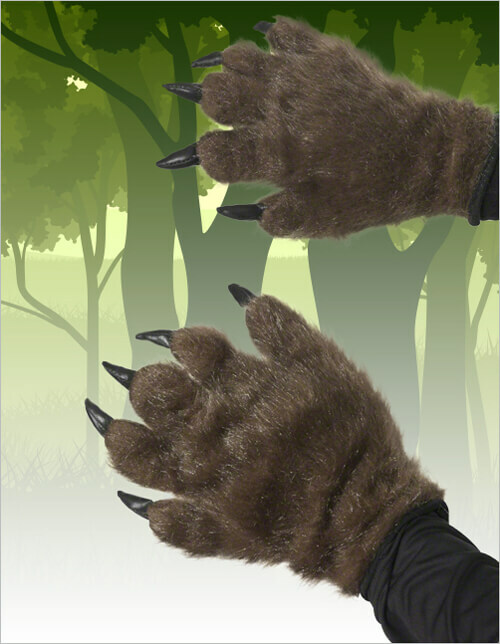 It uses molded latex to create some deadly looking claws, while fur covers the top portion to really drive home the feral wolf style. All you have to do is slip them on over the shoes you want to wear and... voila! 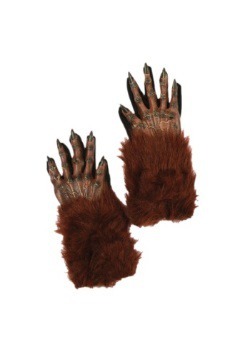 Instant wolf feet! 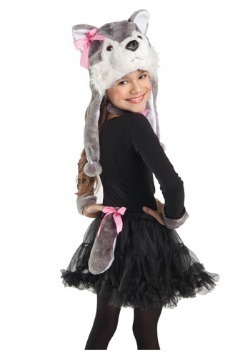 It might be the best thing since sliced bread (or maybe we just really love dressing up like a wolf). 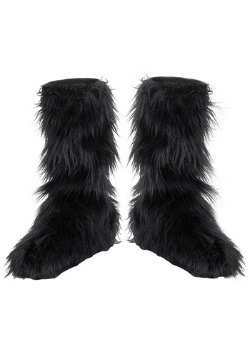 You definitely won't want to skip out on these when crafting your wild look.